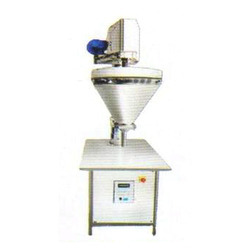 Exporter of a wide range of products which include two head liquid filling machine, powder filling machine and manual 300 holes capsule filling machine. Two Head Liquid Filling Machine offered by us is widely demanded among our customers for its magnificent capacity, sturdiness, consistent operation and low maintenance. These high functionality machines are manufactured using premium quality raw materials procured from our trustworthy vendors. The proffered series is provided in standardized packaging to avoid damages. 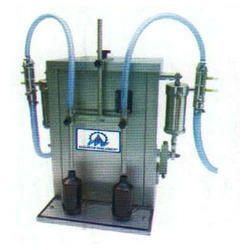 Powder Filling Machine is manufactured, exported and supplied to a large number of customers. Owing to the robust construction, longer operational life, consistent performance, corrosion resistance and low maintenance, these machines are vastly desired. 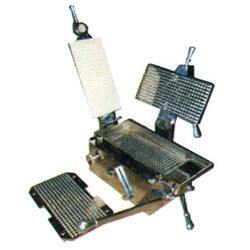 Powder filling machines offered by us are provided in multiple specifications to fulfill the diverse client needs. Manual 300 Holes Capsule Filling Machine is manufactured, exported and supplied by us in multiple specifications to meet the diverse client needs. Manufactured in adherence to the preset industry standards, these efficient and high functionality machines are vastly desired in the market. The proffered range is examined for its flawlessness before handing over to the clients.